President Donald Trump is controversial for a lot of reasons. But one of the biggest ones is definitely his interesting relationship with Russia and its president Vladimir Putin. Since it was first discussed during the third presidential debate in 2016, the conversation shifted rapidly to Trump’s relationship with the Russian President, and to questions of whether or not Russia has interfered in the 2016 election. As is turns out, Russia did some pretty shady things in the 2016 election. Naturally, a presidential hopeful having an overtly friendly relationship with a man who’s been accused of overseeing a nauseating amount of human rights abuses didn't sway American voters. Throughout the election, rumors have surfaced that the billionaire and the alleged dictator have a kind of buddy-buddy relationship. Even The Simpsons have skewered their relationship. It’s not the first time that word has floated in the wake of a discussion of Putin and Trump’s bromance. Just how close are the presidential hopeful and the amateur Russian karate champion, and what impact on Trump's presidency? 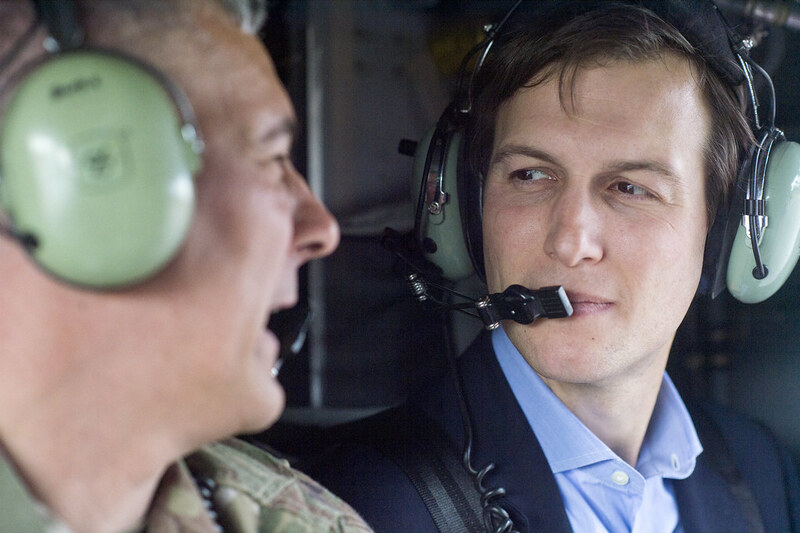 Trump's son-in-law Jared Kushner was a controversial pick as a senior advisor when he took the job shortly after the inauguration. The real estate and media mogul had some troubling financial interests, and some questioned whether the pick was a sign of nepotism. But then, in April 2017, Kushner's position became even more problematic. Kushner, as well as a few other of Trump's senior advisors, secretly met with Russian diplomats before the inauguration and failed to disclose that on a top secret clearance application. Then, a month later, several news outlets reported Kushner was under investigation by the FBI as part of a probe into Russia's role in the 2016 election. According to the Washington Post, senior intelligence officials alleged Kushner asked a Russian official to establish a secret communication channel between the two countries before Trump took office. According to Reuters, multiple sources said Trump's campaign team contact Russian officials at least 18 times in the last seven months of the 2016 election. The revelation came in May 2017 after reporters started interviewing current and former White House officials about the alleged contact. This included phone calls and emails that were not previously disclosed. The White House denied these conversations in January, after former National Security Adviser Michael Flynn admitted he spoke with Ambassador Sergey Kislyak in December 2016. In early May 2017 - just a week after firing FBI Director James Comey - Trump met with two Russian officials, Foreign Minister Sergey Lavrov and Ambassador Sergey Kislyak, in the Oval Office for a private meeting. The Russian media was invited, which later released photos of Lavrov and Trump shaking hands, causing many to wonder the nature of their meeting. As it turns out, Trump was divulging classified intelligence on the Islamic State received from Israel. Trump was not authorized to share this information, causing some to worry it might affect the country's relationship with Israel. While it isn't illegal for the President to share classified information, it is usually frowned upon to share information from a foreign country with another country without having the explicit permission of the intelligence gatherer. It was also seen as another blow to Trump's image - specifically his claims that he is not involved with Russia despite acting otherwise. Retired Lieutenant General Michael Flynn was appointed as Trump's national security advisor shortly after Trump won the election in November 2016. He was a controversial pick because he had ties to Russia, was a supporter of the far-right movement, and promoted conspiracy theories on his Twitter account. In December 2016, before Trump formally took office, Flynn spoke with Russian ambassador Sergey Kislyak. On the same day, former President Barack Obama announced Russia was possibly involved in trying to sway the election. Obama administration officials discovered Flynn and Kislyak spoke to one another about matters of national security and business sanctions, violating the Logan Act, which bans unauthorized citizens from negotiating with foreign powers in dispute with the US. This set off a series of events - including an investigation into Flynn because he lied about the meeting in an interview with the FBI. He was dismissed in February 2017, but the FBI investigation into him was just beginning. In March 2017, Flynn allegedly offered to testify to the FBI and any other committee about his relationship with Russia, as long as he was granted immunity. When that was declined, several officials - including Obama - said they warned Trump that Flynn might be compromised by his Russian contacts. Former Acting Attorney General Sally Yates - who was fired by Trump for challenging his immigration ban - testified in May 2017 she believed Flynn might be being blackmailed by the Russians, and told Trump as much in January of that year.